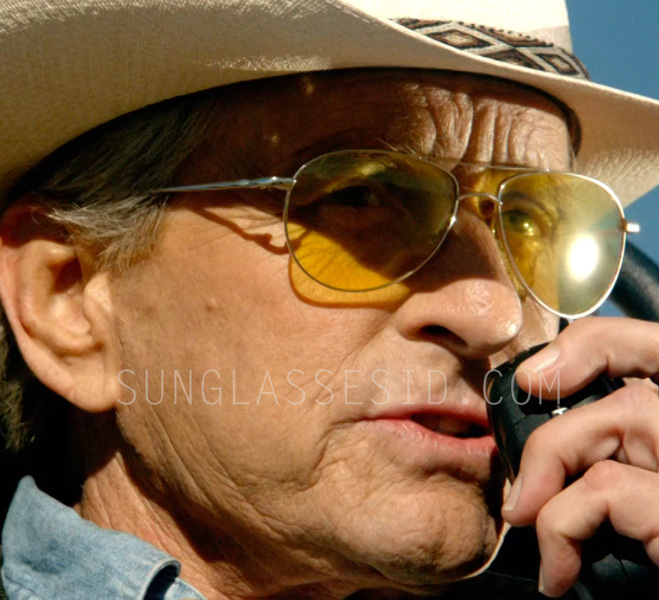 Michael Douglas wears Oliver Peoples Benedict sunglasses in Beyond The Reach. Oliver Peoples Silver with Midnight Express Polar Glass. The lenses in the film are yellow. The sunglasses have a silver frame and yellow lenses. Get them on Oliver Peoples website or find a large selection on Amazon. This is not the first time Michael Douglas wears Oliver Peoples Benedict sunglasses in a film: in Solitary Man (2009) he sports the Benedict with silver frame and dark chrome sapphire glasses. Douglas wears Oliver Peoples Robert Evans in the 2009 movie Ghosts of Girlfriends Past.